+ There are many kinds of testimony to God, there is verbal testimony, testimony through works, yet, the greatest is the blood testimony, through which all the meanings of faith, hope and God’s love are translated. + All Christians are called to testify to the name of our Lord and Savior Jesus Christ, in the sermon on the mount we hear the Lord speaks” Let your light so shine before men, that they may see your good works and glorify your Father in heaven” ( Matthew 5:16). And this testimony is a normal result of our unity with our Christ’s true light; reflecting on our daily lives amid the world. + This testimony has to come out of a heart that is full of faith, the Psalm says” I believed, therefore I spoke” ( Psalm 116:10). And this word comes out from a pure heart that has no hypocrisy within” For with the heart one believes unto righteousness, and with the mouth confession is made unto salvation” ( Romans 10:10). + The Lord Jesus Christ has made it clear that it is essential for us to recognize Him in front of people” Therefore whoever confesses Me before men, him I will also confess before My Father who is in heaven. But whoever denies Me before men, him I will also deny before My Father who is in heaven” ( Matthew 10:32-33). Saint Paul says” That you were enriched in everything by Him in all utterance and all knowledge, 6 even as the testimony of Christ was confirmed in you” ( 1 Corinthians 1:5-6). He also directs Timothy his disciple to testify to the Word without shame” Therefore do not be ashamed of the testimony of our Lord, nor of me His prisoner, but share with me in the sufferings for the gospel according to the power of God” ( 2 Timothy 1:8). And in Revelation John shows us how will Elijah and Enoch testify” And I will give power to my two witnesses, and they will prophesy one thousand two hundred and sixty days, clothed in sackcloth” ( Revelation 11:3). + One of the signs of the end of time as we read in the Bible according to saint Matthew that there will be a testimony to the whole world through the word” And this gospel of the kingdom will be preached in all the world as a witness to all the nations, and then the end will come” ( Matthew 24:14). This might lead to blood testimony, and this is what happened to the prophets, disciples and those who preached by the name of the Lord through out generations, those who are blessed both on earth and in heaven even after their martyrdom” And I saw thrones, and they sat on them, and judgment was committed to them. Then I saw the souls of those who had been beheaded for their witness to Jesus and for the word of God, who had not worshiped the beast or his image, and had not received his mark on their foreheads or on their hands. And they lived and reigned with Christ for a thousand years” ( Revelation 20:4). + To shed your blood for the sake of Jesus Christ is the most precious testimony you can offer” Greater love has no one than this, than to lay down one’s life for his friends” ( John 15:13). God’s love to us was not through words but through righteousness and works” For God so loved the world that He gave His only begotten Son, that whoever believes in Him should not perish but have everlasting life” ( John 3:16). And God has loved us first” We love Him because He first loved us” ( 1 John 4:19). If Jesus won’t forget a cup of cold water that was offered for His name, then what would it be for him who sheds his blood for the love of God? Hence, the church places the martyrs in a higher rank than saints, for their blood is still testifying through out generations, proclaiming their faith in the love of Christ Who is in them. Saint Paul says in Hebrews” By faith Abel offered to God a more excellent sacrifice than Cain, through which he obtained witness that he was righteous, God testifying of his gifts; and through it he being dead still speaks” ( Hebrews 11:4). 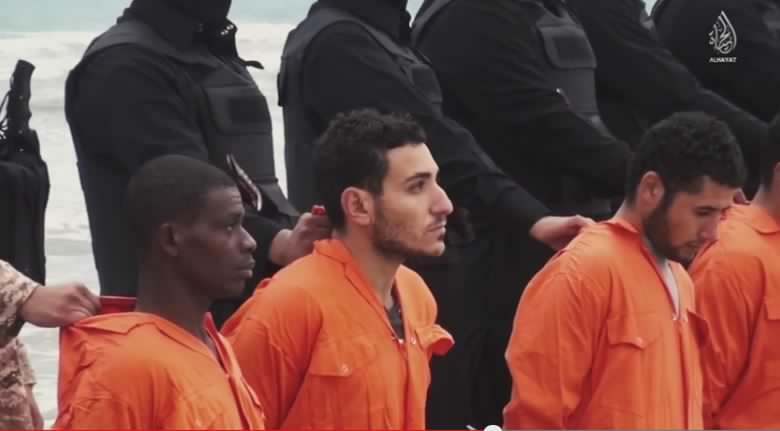 + Those martyrs did not suicide, and were not hopeless, neither were they trying to look brave and heroic, but simply, they loved the Lord more than their earthy lives; offering it cheaply, realizing that they have a better place in heaven, where all tears will be wiped, confident in resurrection. They did not seek mercy but focused on the triumphant Christ sitting in His heavenly glory. They were full of the power of love that made them ask for forgiveness to their murderers. We see saint Stephen, the first martyr, crying and saying amidst his pain and suffering” Lord, do not charge them with this sin.” And when he had said this, he fell asleep” ( Acts 7:60). + Perhaps that scene had a strong impact on the life of Saul of Tarsus, who was guarding the soldiers’ clothes, consenting to his death. He couldn’t forget the testimony of saint Stephen’s love after the Lord appeared to him. We read in Acts Saint Paul saying” So I said, ‘Lord, they know that in every synagogue I imprisoned and beat those who believe on You. And when the blood of Your martyr Stephen was shed, I also was standing by consenting to his death, and guarding the clothes of those who were killing him” ( Acts 22:19-20). Then Saint Paul took the same path, testifying to the Word and at the end he was beheaded by Nero. + Truthfully, as the fathers have said: The blood of martyrs are the seeds of the church. How great are the Christian martyrs; the light witnesses on the path of love that leads to the sky.